Thrive Real Estate Specialists of Shrewsbury MA is pleased to announce Grafton resident Ava Fantasia will join their team of Realtors. Ms. Fantasia brings more than 30 years of combined experience in banking, marketing, and real estate to the Thrive team along with her dedication to quality customer service and many connections in Worcester County. Ava’s passion for customer satisfaction is evident in every facet of her clients’ real estate transactions and drives her to produce positive outcomes for all. 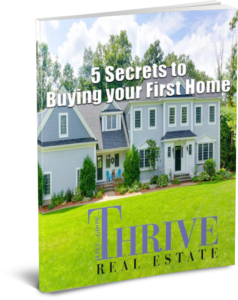 “The decision to join Thrive Real Estate was an easy one. 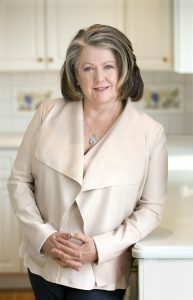 Owner Broker Maribeth Lynch’s real estate knowledge, commitment to her clients and integrity shines through. I knew this was the place I wanted to resume my real estate career,” states Ms. Fantasia. Ava and her husband Sal purchased their first home in Shrewsbury in 1983. They now live on a small farm in Grafton in a multi-generational household that includes her parents, three thoroughbred horses, and a Jack Russell terrier named Lulu. To learn more about Ava, or to contact her, visit her Realtor Bio Page. Maribeth McCauley Lynch is a real estate broker in Shrewsbury MA with over 20 years of experience in the industry. She specializes in buying and selling residential properties in Shrewsbury, Northborough, Westborough, Southborough, Boylston and Metro West areas of MA. Maribeth is completely dedicated to her clients and their needs. Her exceptional service and sales performance placed her among the Boston Top 20 real estate professionals in 2014. She is also recognized in local and national media as a real estate marketing expert. She is currently one of the hosts on “Ladies Night”, a local cable television show.